The Prom King and Queen. Click on the image or HERE to see all photo booth pictures. 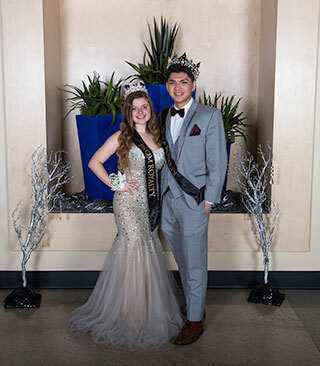 fhspress.com was at the 2019 Prom taking photo booth pictures. Click on the photo or HERE to access the photos on Dropbox.com. Downoad them to your computer, phone, or device. Print them, share them, trade them, collect them. Remember the 2019 Prom forever!